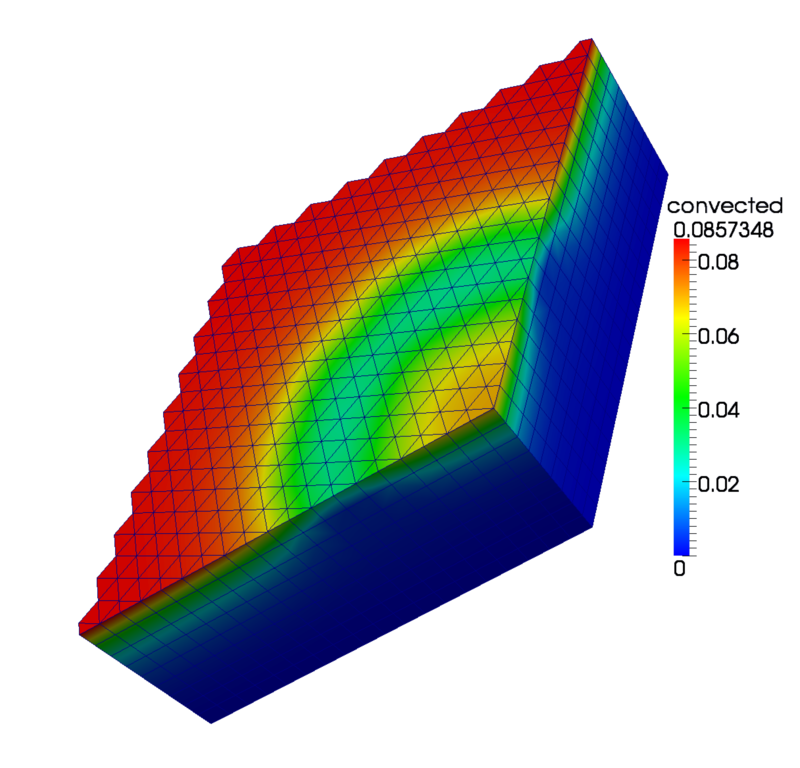 MOOSE includes built-in support for creating and sharing material properties thorughout your simulation calculations. Material property calculations are run/updated by MOOSE automatically for every quadrature point. Kernels, Postprocessors, and other objects all have convenient access to these properties. This example demonstrates a convection-diffusion problem with kernels that utilize custom non-linear material properties. but with slightly different boundary conditions: on the bottom boundary and and on the top boundary. The remaining boundaries taking the natural boundary condition. 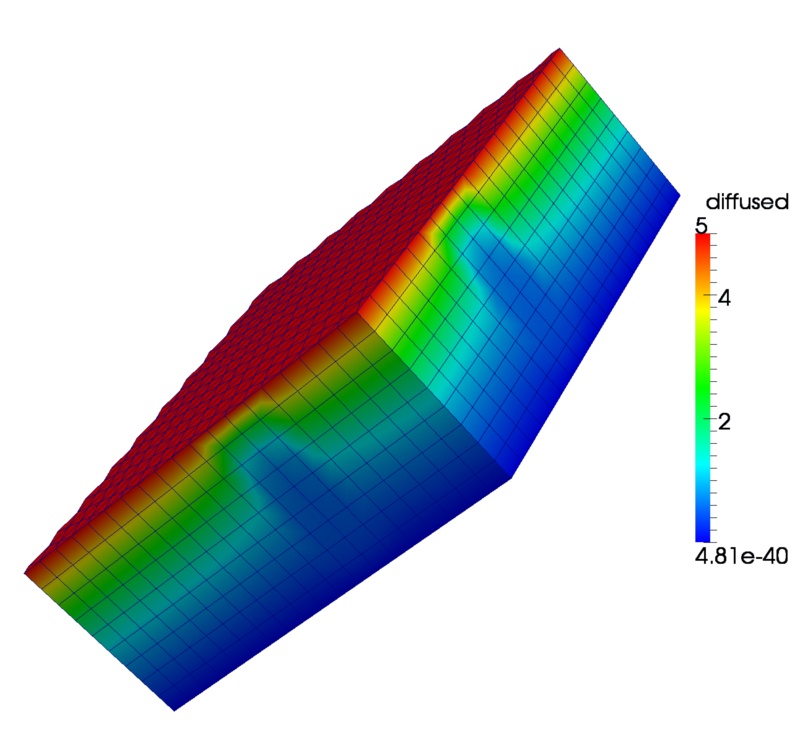 is a diffusivity coefficient and is a convection coefficient derived from the coupled diffusion equation. // material property named "diffusivity" that Kernels and other objects can use. // This property is "bound" to the class's "_diffusivity" member. // Also declare a second "convection_velocity" RealGradient value typed property. // Get the reference to the variable coupled into this Material. // Initialize our piecewise function helper with the user-specified interpolation points. // Convection velocity is set equal to the gradient of the variable set by the user. In ex08.i, there are two material objects with each applied to a separate named subdomain of the mesh via the block = '...' lines. These objects will provide the "diffused" and "convection_velocity" properties that our convection and diffusion kernels now look for. // value per quadrature point. // so that we don't have to recode that.